Committee for organising the annual programme of events. 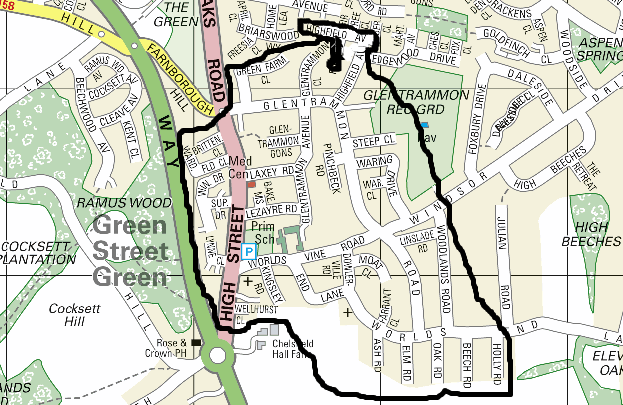 ​Green Street Green is a village on the outskirts of Orpington in Kent. (N.B. There is another Green Street Green near Dartford). After World War II, members of Toc H drew up plans for the development of Green Street Green. Unfortunately these proved too ambitious to succeed but, between 1949 and 1951, funds were raised to provide facilities for a community centre. In 1952, the Greenwood Community Centre was opened in the converted and refurbished Coach House, in the High Street, leased from Telcon Plastics, at a peppercorn rent of one shilling (5p) per annum. The property was subsequently purchased from the company in 1982. The Green Street Green Association was founded in 1952 and is still the legal owner of the Greenwood Community Centre, a charity registered in 1958, managing it for the benefit of the community. The Village Society Committee was created more recently, as the Association's active community arm. The Committee consists of up to 20 members. Currently there are only eleven members, so please would any members ﻿let us know if they would like to join the Committee and help organise more events and activities, particularly at the Greenwood Centre. 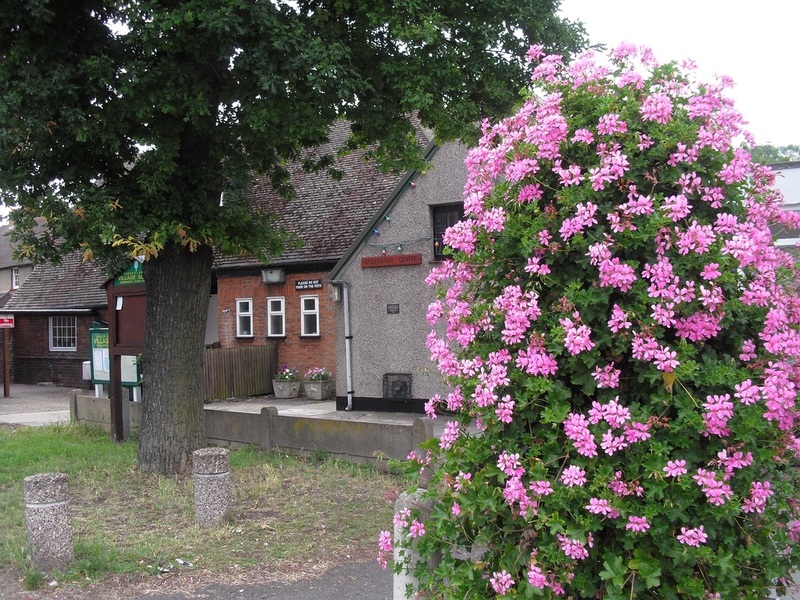 In conjunction with Bromley Council, the Village Society Committee oversees environmental issues, such as clearing graffiti and litter, tree planting, traffic and road safety. It also liaises with local police and councillors, to deal with matters affecting the village, particularly opposing inappropriate developments. The area covered by the Association mainly covers the area shown inside the line on the map above. However, even if you do not live in any of the roads listed below, but in the general Green Street Green area (see ﻿Green Street Green area map﻿), you may become an Associate Member of the Association (only £2 per year) - simply send us your details on the Membership Form and we will send you details for setting up a standing order or sending a cheque. Members receive two newsletters each year, in April and October. These are available online for members outside the Road Contact area but only for members. Those members who provide their email addresses also receive emails about issues or developments in Green Street Green which arise at other times. The Association aims to keep residents informed, to ensure Green Street Green retains its village community environment. All the roads listed below (apart from any in bold italics) have Road Contacts who keep their residents advised of Village Society activities, as not all residents have internet access. If you are willing to volunteer, to recruit new members, collect subscriptions and deliver the newsletters to any roads without Road Contacts below or outside the shown on the map above, please fill in your details on the Application Form and the membership secretary will contact you. It is a great way to get to know your neighbours and help to build community spirit. You do not have to live in the road for which a Road Contact is needed. This website aims to provide a resource about activities and developments in Green Street Green and to promote the work of the Association. It is also linked to the Orpington Community website which covers the wider local area. The Facebook and Twitter links come under the Orpington Community identity but items specific to Green Street Green are often posted there.